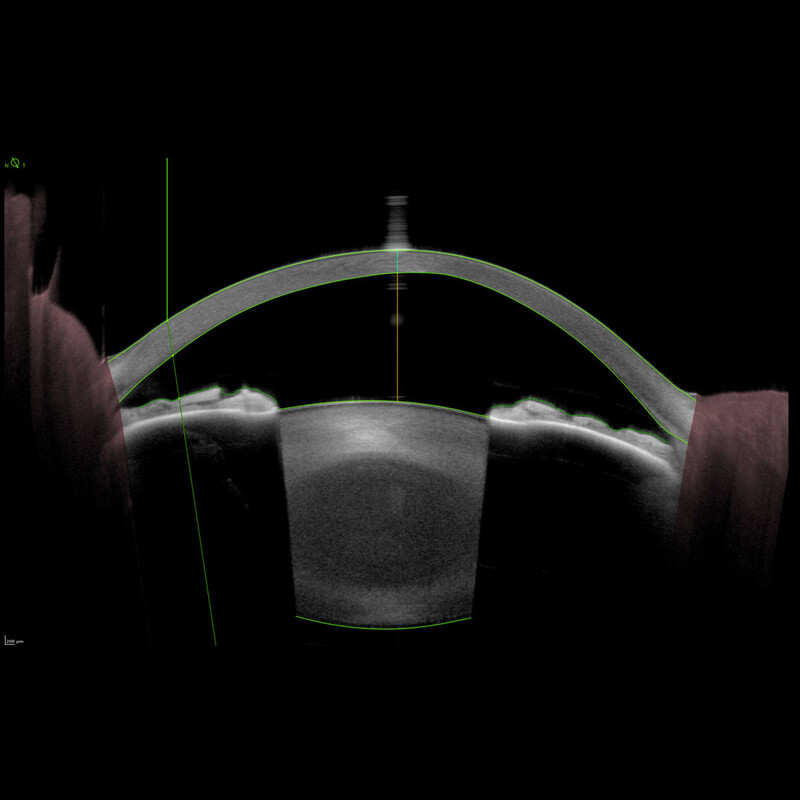 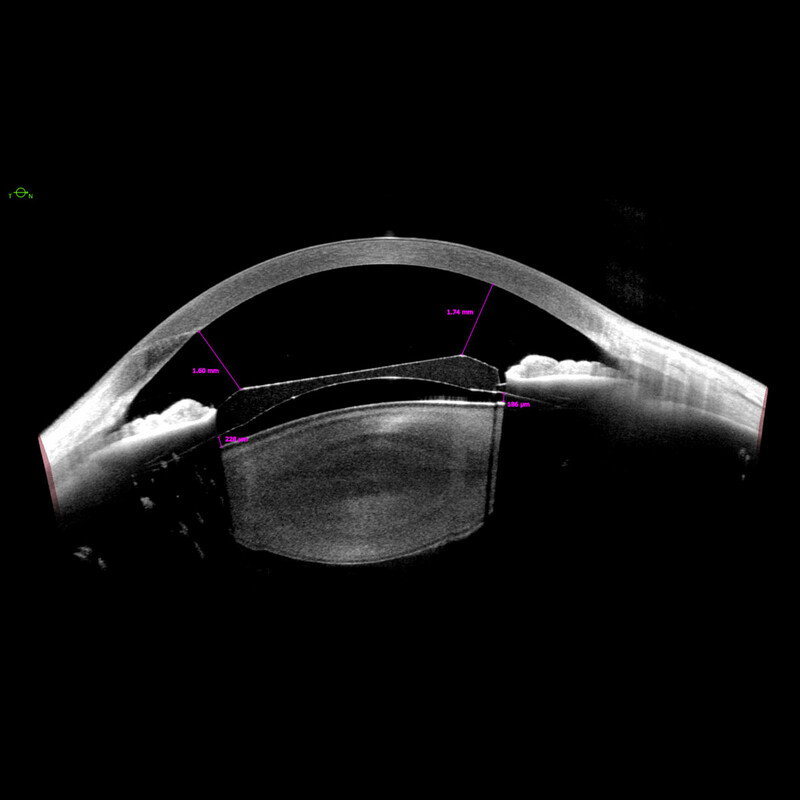 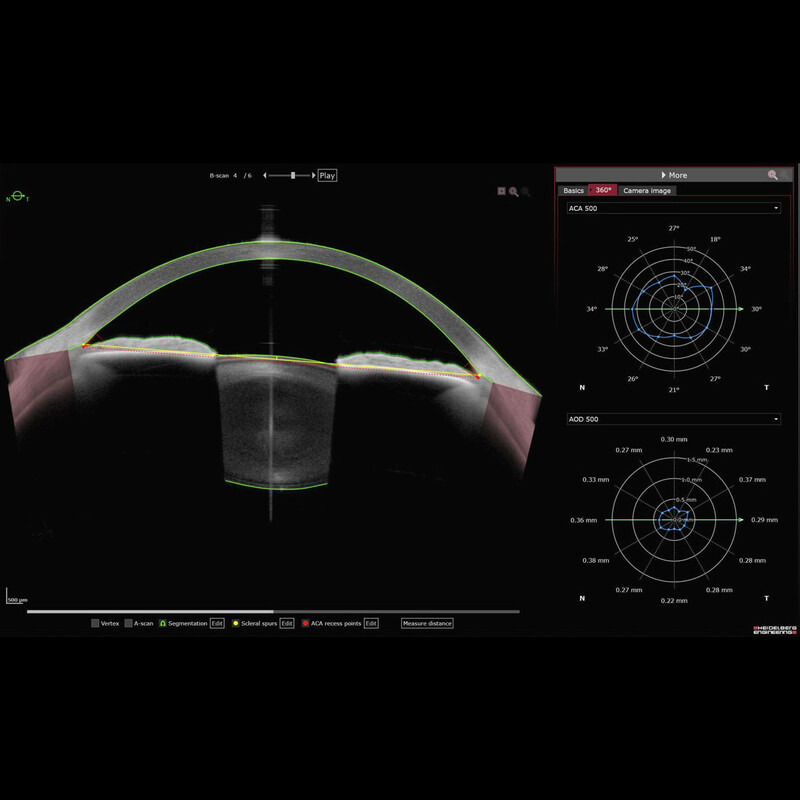 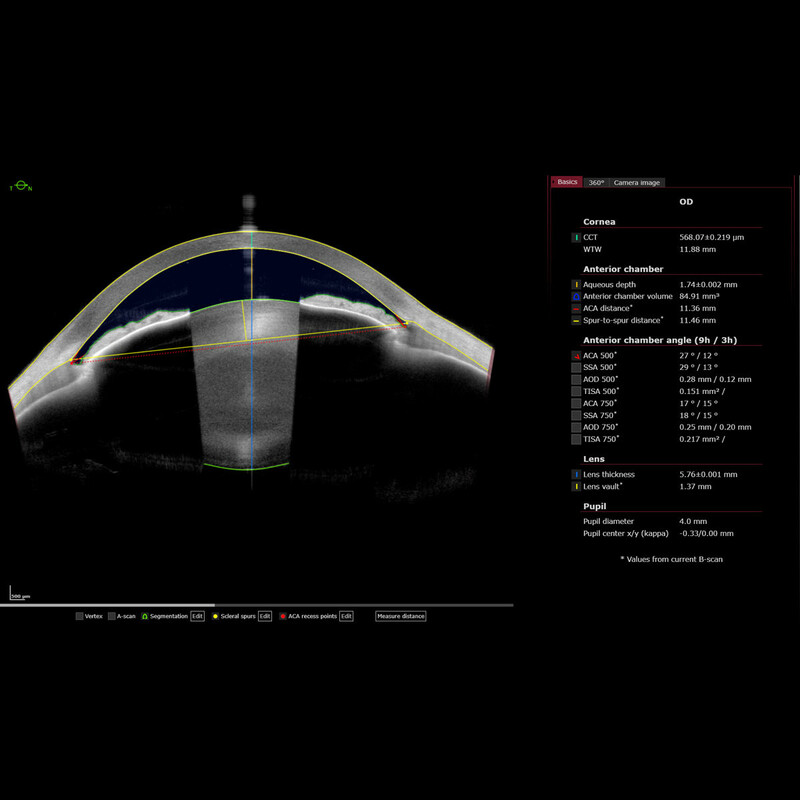 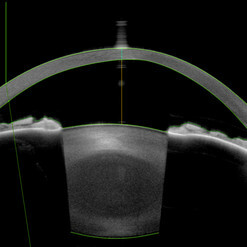 The ANTERION® Metrics App features exceptionally clear swept-source OCT images with the anterior chamber displayed in a radial view. 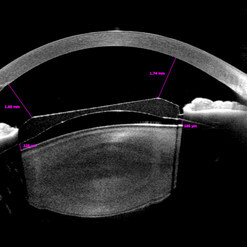 The high-resolution OCT images provide the basis for accurate metrics. 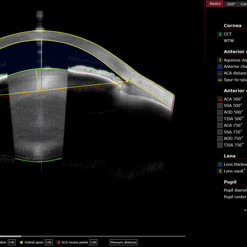 Determine predefined angle parameters or perform free-hand measurements customized to the clinical case. 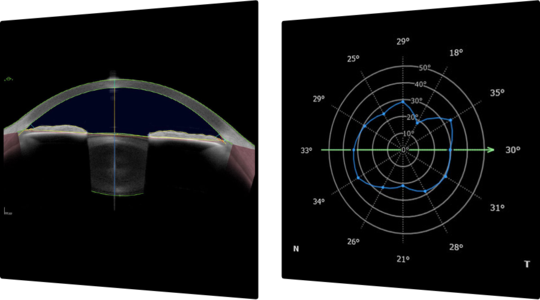 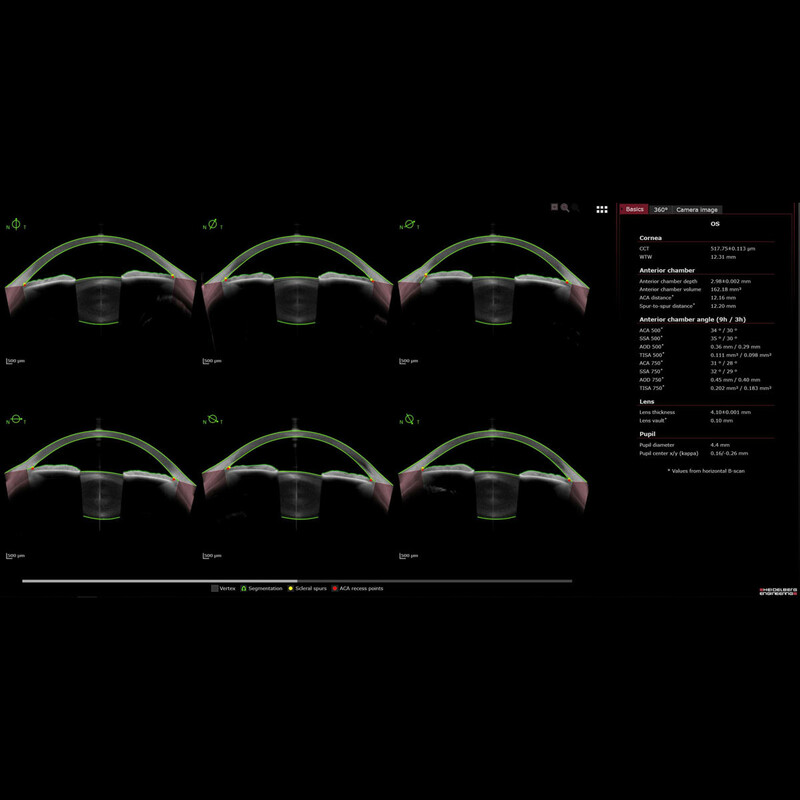 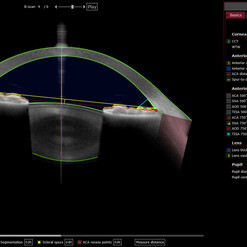 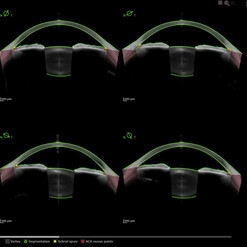 Beyond commonly used parameters, the Metrics App offers anterior chamber volume, lens thickness and vault. 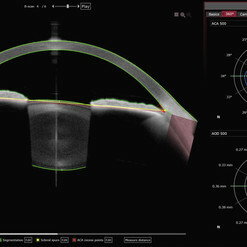 The Metrics App features the essential anterior chamber metrics such as anterior chamber depth, ACA, AOD, TISA, ACA distance, spur-to-spur distance, central corneal thickness and white-to-white. 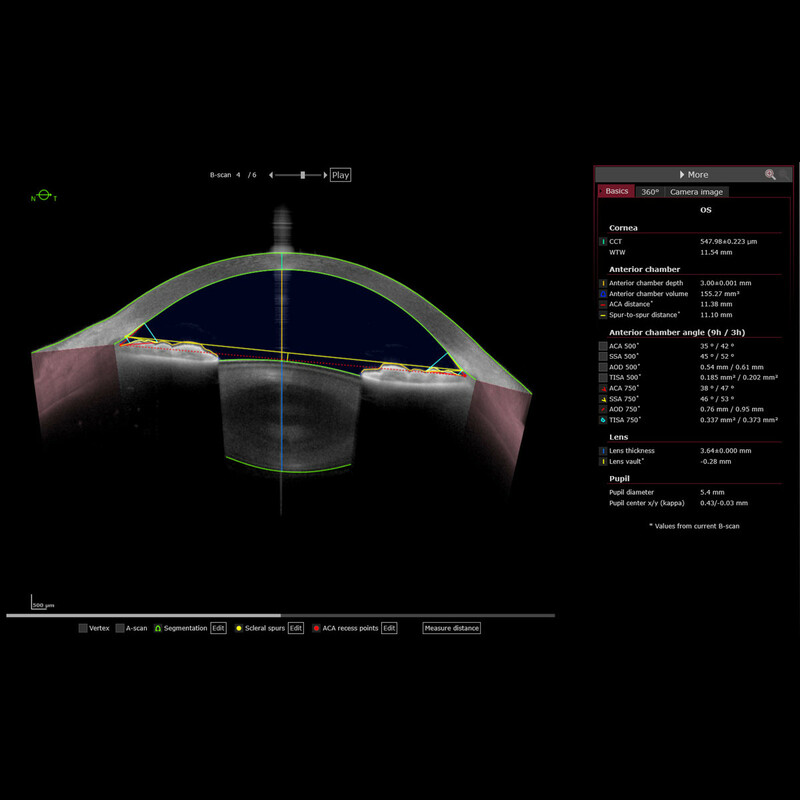 Display ACA, AOD and TISA information in an illustrative 360° graph.